WE ARE BACK in the Q-town after an amazing road trip. Some 2,000 miles, buckets of rain and boatloads of memories later, we are reliving a great vacation. We made it to the Hart family gathering in Camp Geneva, near Orillia, Ontario. More than 80 of us hung out on the beach, in our cabins and around the campfire. After playing non-stop Friday night, Saturday afternoon and Saturday night with my talented cousins, my fingers were bleeding. So much fun! 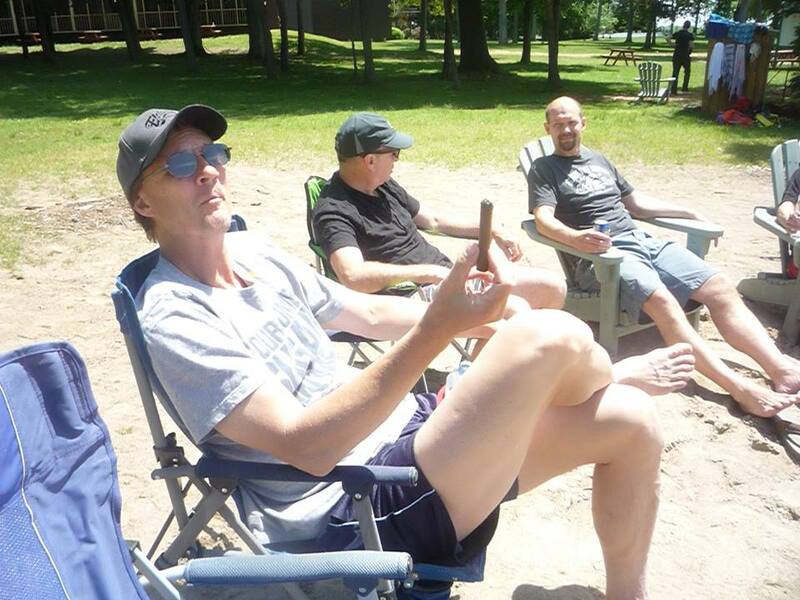 Life is rough with good company, a glorious Ontario beach and a real Cuban. Camp Geneva is right next to an Indian reservation. That means duty-free gifts shops, including a cigar store with Canada's largest walk-in humidor. Two walls stacked with Cuban cigars? No taxes? Good prices? Yes, please. The best part is the absence of time. No watches, no deadlines, nothing. You literally don't know and don't care what time it is. Suddenly it's after dinner and you are playing guitar and hooting and hollering, and then it's somewhere around 2 in the morning and you just don't care. It was the first time in 35 years I was in Ontario with my father and siblings. We stayed in my old hometown of London and went back to the west-end haunts - power memories, indeed. On Monday we were back in Michigan, but the weather was bad and the beach was sad and lonely in the rain. We headed home about 4 p.m. and got home around 11 - the dogs were happy to see us, and our garden has gone nuts. A bit of rain around here, eh? Love family vacations. But love coming home just as much. Ahhhh .... Q-town. I'll light a real Cuban cigar up for you tonight.